Conversion optimization takes ecommerce SEO and Internet marketing one step further. Ecommerce conversion optimization seeks to improve the sales potential of your online store after users land on your website. 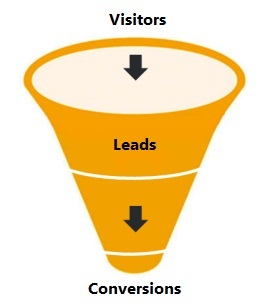 Conversion optimization centers on having a "conversion funnel" or a pre-determined user path that achieves a goal for the site. This may include may include optimizing the checkout process for smooth transactions, implementing visual graphics for easier of navigation, or restructuring product categories to enhance overall usability. What ever the weaknesses of your ecommerce site, our conversion optimization services will turn them into opportunities. One of the most effective applications for ecommerce conversion optimization is Pay Per Click (PPC) advertising. Our PPC optimization services often include landing page and ad copy reviews, along with a complete assessment of your PPC advertising platform (Google AdWords or Microsoft AdCenter). Almost every online store is unique, so our ecommerce PPC services are individually tailored per client. We pinpoint the areas of your website that need the most attention, and develop effective ecommerce strategies that result in more sales. Conversion optimization for ecommerce SEO takes a unique approach to achieving the right results. One of the best strategies is using PPC advertising to test the conversion potential of certain keywords before optimizing the website. Once we narrow down the keywords that are driving the greatest conversions and sales margins for your online store, we can then begin to optimize your ecommerce site for those keywords. In time, we can have your ecommerce site in the top search listings for the precise keywords that are driving you the most profits. Other key components to ecommerce conversion optimization are the design elements and presentation of content. This may include having clear call-to-action buttons; product images, videos, and reviews; and a SEO-friendly shopping cart. These are just a few aspects of our ecommerce SEO services that we take into consideration when optimizing your website. To learn more about our ecommerce conversion optimization services, contact us today.